Some of the members of the New Norfolk High School class of 1967. MORE than 100 students who attended New Norfolk High School and left in 1967 will be attending a 50th anniversary reunion this weekend, March 4-5. Many of those will be travelling from interstate from as far afield as Darwin and Broome and the organisers say accommodation in the town will most likely be at a premium as most will be having extended stays in the Valley. One of the main organisers, Sydney-based Ken Traill, has been working hard to locate past students and has been helped by a number of locals who have used school magazines (Robigana) and photos to identify old scholars. Old school photographs have been provided by past students and the organising group is still seeking any further memorabilia that can be displayed at the reunion. 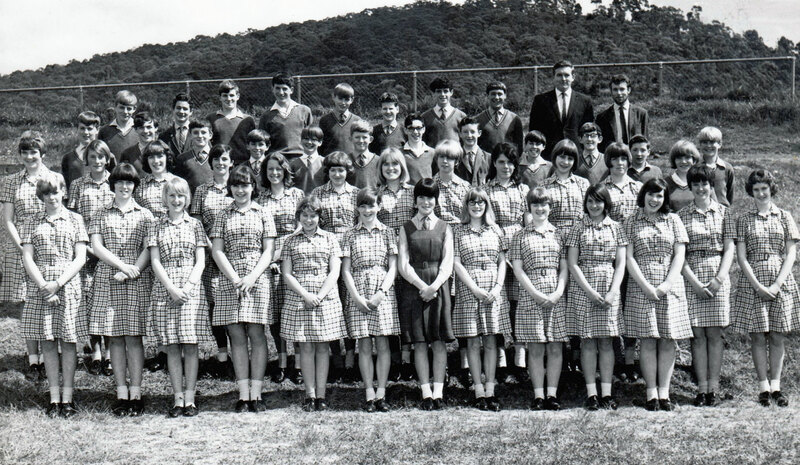 It is hoped that some of the teachers who worked at New Norfolk High in the late 1960s will be able to attend the functions to be held at the New Norfolk RSL Club on Saturday and at the Salmon Ponds on Sunday. NNHS records for 1967 showed that a total of 635 students were enrolled at the school at the time. "We have exhausted all avenues in trying to locate past 1967 students however if anyone knows of any we have missed, please let me know as we would welcome you to join us for what we trust will be a few days of good company and good memories," Mr Traill said. Ken Traill can be contacted on 0418 971 355.